Eilís Cranitch,violinist, was born in Cork, Ireland. After the B.Mus and M.A. degrees in musicology at Cork University she completed her violin studies in Italy at the Santa Cecilia Music Conservatoire in Rome, with Arrigo Pelliccia and at the Chigiana Academy in Siena with Maestro Riccardo Brengola. During her career she has played in various chamber groups including I Solisti Aquilani with whom she frequently performed as soloist at the most important festivals and concert seasons in Europe, as well as North and South America. 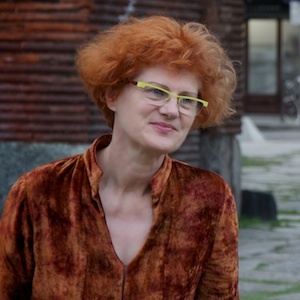 Since 1990 she has been living in Turin where she teaches quartet at the Accademia Musicale Torinese. She is one of the founder members and violinist of Xenia Ensemble , considered one of the most important contemporary groups in Italy. (www.xeniaensemble.it). She also performs with the Hilliard Ensemble in their programmes dedicated to the composer Arvo Part. She is President of the Assocazione Ensemble Xenia .